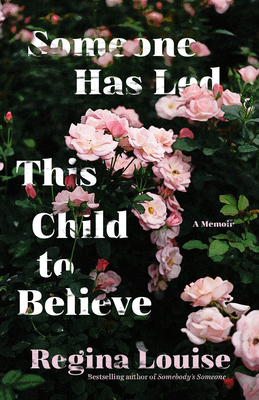 In this unflinching, unforgettable memoir, Regina Louise tells the true story of overcoming neglect in the US foster-care system. Drawing on her experience as one of society's abandoned children, she tells how she emerged from the cruel, unjust system, not only to survive, but to flourish. After years of jumping from one fleeting, often abusive home to the next, Louise meets a counselor named Jeanne Kerr. For the first time in her young life, Louise knows what it means to be seen, wanted, understood, and loved. After Kerr tries unsuccessfully to adopt Louise, the two are ripped apart--seemingly forever--and Louise continues her passage through the cold cinder-block landscape of a broken system, enduring solitary confinement, overmedication, and the actions of adults who seem hell-bent on convincing her that she deserves nothing, that she is nothing. But instead of losing her will to thrive, Louise remains determined to achieve her dream of a higher education. After she ages out of the system, Louise is thrown into adulthood and, haunted by her trauma, struggles to finish school, build a career, and develop relationships. As she puts it, it felt impossible "to understand how to be in the world." Eventually, Louise learns how to confront her past and reflect on her traumas. She starts writing, quite literally, a new future for herself, a new way to be. Louise weaves together raw, sometimes fragmented memories, excerpts from real documents from her case file, and elegant reflections to tell the story of her painful upbringing and what came after. The result is a rich, engrossing account of one abandoned girl's efforts to find her place in the world, people to love, and people to love her back. REGINA LOUISE is the author of Somebody's Someone, which chronicles her journey through foster care. The one-woman stage adaptation of the book debuted at the Sacramento Theatre Company and was nominated for two NAACP Theatre Awards. Her story, which is in film production, has been featured on All Things Considered, the BBC, and The Early Show, among others. Louise is a leadership coach in human services, a Hoffman Process teaching candidate, and the winner of an Adoption Excellence Award from the Administration for Children and Families. She is also a trauma-informed trainer who advocates on behalf of foster youth and their emotional permanency. She lives in Northern California.